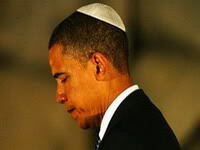 On Thursday, Obama’s Middle East coordinator, Robert Malley (born to Egyptian Jewish father and American Jewish mother), said at White House news conference that Barack Obama has come to the conclusion that a two-state solution to the occupied Palestine is not possible during his presidency anymore. On June 4, 2009, addressing students at Cairo University, Obama admitted Palestinian situation as ‘intolerable’. “They endure the daily humiliations, large and small, that comes with occupation.” He also admitted that the two-state solution was in Israel’s interests, Palestinians’ interests and also good for the interest of United States in the region. It seems, after eight years of licking Netanyahu’s shoes has realized – he is still there where he was on June 4, 2009. Obama’s realization of the Zionist plan for Palestine comes after his pro-Israel special brokers, George Mitchell, Tony Blair and John Kerry threw their towels as result of Netanyahu’s arrogance. They all had come to realize that Zionist original plan of establishing Eretz Yisrael, is not compatible with the proposed two-state solution as proposed in the notorious Belfour Declaration of 1917. The myth of Two-State solution for Palestine was created by Israel and American Zionist elites in 2004 in order to buy time for the Zionist entity to grab more Palestinian land. Ahead of the recent Israeli election, Netanyahu told Israelis that Palestinian would only get a state of their own – over his dead body. Now after rubbing each others noses since Obama’s re-election, Obama is going to host Netanyahu at the White House on November 9, 2015. According to Likud newspaper, The Jerusalem Post, Netanyahu is meeting Obama to press for a $50 billion military aid during 1917-2027 to counter Iranian threat. Both of them will also discuss Syrian crisis, and relations with Iran as result of the so-called P5+1 and Iran’s nuclear agreement. It seems, being the main loser of the US-Iran nuclear agreement, Netanyahu has decided to rebuild his relations with the White House. Dr. Norman Finkelstein, who lost his job and even after ten year cannot find an academic position in United States, and have to bear more insults than Gilad Atzmon – thanks to his pro-Israel Tribe for criticizing the Holocaust Industry and praising Hizbullah for standing up to Middle East’s greatest bully, has cracked under pressure. In his recent book, What Gandhi Says About Nonviolence, Resistance and Courage, he urges Hamas to give up armed resistance to the Jewish army, which it cannot beat. Finkelstein, instead, urges Palestinians to run a nonviolence movement like Mahatma Gandhi to defeat the Zionist regime. I’m surprised Finkelstein doesn’t know that Gandhi gave same advice to the leaders of World Zionist movement in 1938, which the later rejected and occupied Palestine by guns and terrorism. Furthermore, Gandhi advised his followers to wage armed resistance against bullies instead living as cowardice.